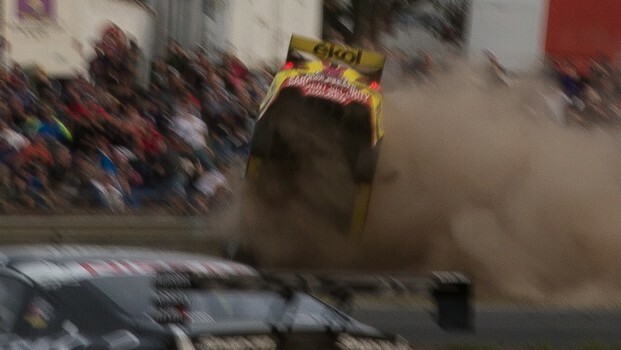 A massive accident marred the last portionof Race Five at Symmons Plains in Tasmania, with ekol Racing rookie Scott Pyeslamming head-on into an Armco barrier. Fortunately Pye is fine, apart from asprained wrist and sore jaw – in fact, he expressed disappointment for theteam ahead of a tight turnaround to the next event in New Zealand. “I got out and had to have a quick look atit because I couldn’t believe an impact like that," Pye said. “Going in, I knew it was going to bemassive, going into an Armco wall filled with solid dirt behind. “I had to admire the car and I’m verygrateful at the way it held up, I think even the steering wheel’s bent fromwhere I hung on. “But I’m lucky to be sitting here now asfine as I am. 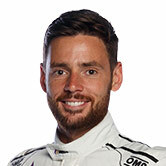 “I’m disappointed; the car was very fast,we were definitely hanging on the back of Garth (Tander, who finished 10th)– the brake fade was the only reason I couldn’t stay on him. Pye said the head-on impact took his breathaway. “When I landed it felt like I was in the airfor an eternity. Once I landed I checked my hands and feet and made sure theywere ok – and I was amazed I was fine. Pye, who has only contested 10 V8 Supercarraces, said there was no warning before the brakes went. “I’d been pumping (the brake pedal)… but Ipumped it and it went to the floor, so there was nothing I could do... My eyes were dragged to that Armco walland I knew I was going in. “I saw the Armco wall took some of thatimpact and got pushed back. It’s a freak accident; it’s one of those things. Pye felt an issue with the brakes on thewarm-up lap, but wasn’t sure what the problem was. Pye said it was the biggest impact he’dever had.